Shoes are an important and often overlooked way to improve your vertical jump as well as the effectiveness of your training. Different training methods require different shoes. Read these informative reviews to learn what you should wear and what you shouldn’t wear while training to jump higher. If you could only buy one pair of shoes for all vertical jump training, I would recommend buying a pair of Nike Zoom Waffle Racers. These shoes are cross country racing shoes, which means they are lightweight, have good traction, comfortable and durable and have support where you need it. These shoes may not have the support needed, but they are great for dunk practice, plyometrics, and playing a casual game of basketball. They won’t have as much support as a good basketball shoe, so don’t wear them in a serious game where you’re at risk of injury. What you don’t want is your old comfortable basketball high tops. These are heavy, probably have too much worn out cushion which will dampen your jump and absorbs energy during your dip and turn around. The best part is you can pick up a pair for $45 at Foot Locker. When you’re doing heavy squats or deadlifts as part of your strength training program, you want a durable shoe with a hard sole, slightly raised heel, and a ton of support. That’s exactly what you get with the Dynamo or Athletics. The difference is the Athletics is white leather, and the Dynamo is black suede. VS is a track and field company that makes a quality product. These shoes will last you a lifetime of 300 lb squats. Running shoes just don’t cut it when you’re lifting heavy weights. The cushioned soles and poor support leave you with power loss and prone for injury. VS Dynamo and Athletics sell for $75-$85 from the VS Athletics website. If you want to squat, but don’t have the cash for weightlifting shoes, get some Chuck Taylor Converse. These have a nice flat hard sole and plenty of support. If you’re really serious about getting into olympic lifting, get a pair of Adidas Weightlifting shoes for $120+. The best basketball shoes on the market are the Nike Hyperdunks. The are an ultra-light basketball shoe with great support and comfort. They have a nice springy cushion to increase your vertical and help soften your landings. I personally recommend the Nike Hyperdunk Low. I find wearing the low top helps bulid ankle support and prevent injury in the long run. As an added bonus, they are cheaper and last longer. Some notable players to sport the lows are Kobe Bryant, Steve Nash and Rajon Rondo. 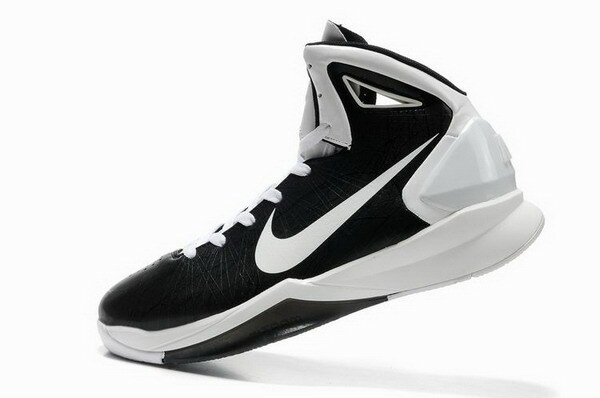 Look around online for Hyperdunk Lows for about $50 or the Hyperdunk in the $100+ range. If it’s all about the big day when you test your vertical, buy yourself a brand new pair of waffles a little too small and try them out a few times. This elasticity of the new shoe and snug fit will give you a little extra boost to your jump. With their new Load ‘n Launch technology, the Concept 1′s claim to add inches to your vertical instantly. On an APL study of 12 participants, 11 of the 12 subjects jumped higher with the biggest difference being an increase of 3.5 inches in vertical jump results. After the big news release of being banned by the NBA, APL Concept 1′s have got a lot of press. My opinion is these shoes seem to be mostly hype. Sure, they may be some of the better basketball shoes, but you’re probably not going to jump higher than you would wearing your Nike Zoom Waffle Racers. The Concept 1′s go for $300 per pair. If I were you, I would buy the Nike Zoom Waffle Racers and save the extra $270. I do not recommend buying Jumpsoles, ATI Training shoes, or any other kind of strength or plyometric shoes. They may be somewhat beneficial if you are currently not on a proper training program or if you are not doing any training at all. However, there are plenty of better ways to get better results than these strength jump shoes can offer. Nike Zoom Waffles elevate your heels and achieve the same results without leaving you injury prone and out $130.